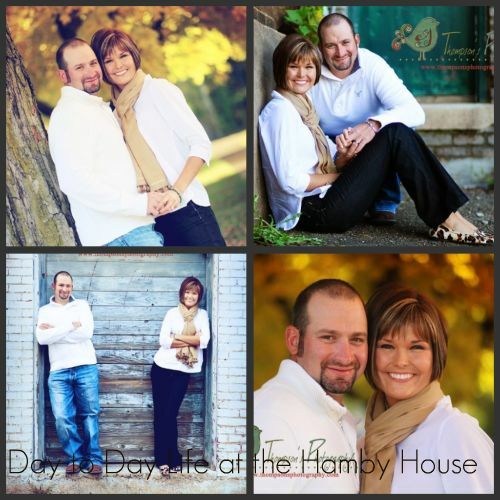 Day to Day Life in the Hamby House: Week at a Glance! Last Friday we celebrated my husband, Josh’s 29th Birthday. We had our closest friends, Kody and Mallory Thompson over to celebrate, and our parents over to help us celebrate his birthday. It was a great evening. We had Josh’s favorite; Blue Pig Barbeque ordered in, my mom made some delicious rolls and fruit salad, Josh’s mom made barbeque baked beans, Mallory and Kody brought puppy chow (mmmmmm: Yes, Josh shared), and I made spinach dip as well as provided the Blue Pig and drinks. It was a lot of fun. We celebrated by having my mother’s famous fruit punch and a few cold ones! We then sang Josh “Happy Birthday” and had cake! Josh left the next day to go on a business trip to Dallas. Josh and I celebrating his birthday! Josh's birthday cake: I LOVE picture cakes! This past week I finished my Christmas shopping!! WOO HOO! I have everything wrapped and ready to go! So proud! I also completed my methods final this week. So methods are now in the PAST…Student Teaching here I come! I am looking forward to the great opportunities in which are in front of me! This last week I got to scrapbook for the first time in at least 6 months!! I stayed up late earlier this week and completed a few Christmas gifts as well as a few things for my future classroom! I really enjoyed this time. I needed some Scrapbook time! I was beginning to have withdrawals. I wrapped up the week by spending my day with the BEST students on the planet, South Fork Elementary students. I worked with first grade today. I am so thankful to have such a rewarding career. I look forward to the weekend ahead. I am attending a family friends little girls First Birthday party. We are then celebrating Christmas with the Thompson’s tomorrow night. We are having quite the feast. Josh and I are preparing a Pork Tenderloin and Mallory’s infamous Potato Casserole. (Yummy!!) Mallory and Kody are hosting this year’s Christmas dinner and preparing rolls, salad, a bean dish, and cheesecake!! We are looking forward to this dinner. Mallory is breaking out her china for this Christmas celebration. The evening might call for some Christmas Caroling, but we will see what night brings! Photos to come soon!